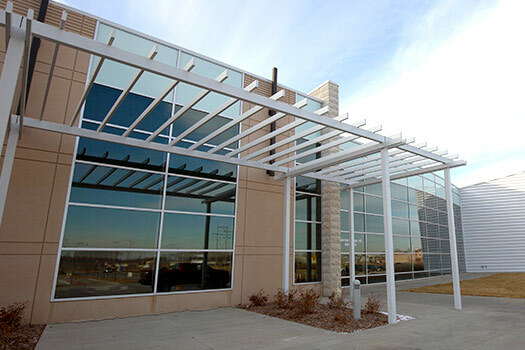 Curtain Wall systems a commonly used system for small to medium sized commercial buildings. If you are looking for curtain wall installation, Precision Glass & Glazing is here to offer you a state-of-the-art fabrication shop and equipment to meet all of your single and multi-story building needs. We have the expertise and experience to manage, fabricate, install and maintain your any of your curtainwall system architectural projects. We are proud to be the best in the business, offering top quality products, fabrication and installation. Most of the time, your architect will advise which is best. We are proud to have our products manufactured by EFCO.